Police Director General Brig.Abdulmalik Al-Madani said that the defendants confessed during the interrogations that they are selling the rare relics and gold bullionson the Houthi militia's behalf to people from Arab and other countries through. He said that this operation was carried out after the investigation and follow-up of this ring for more than a month and they were caught at one checkpoint while trying to smuggle these statues from the province of Dhamar to the Yemeni ports to sell them to a merchant from a brotherly country, according to the pro- legitimate government Yemeni "Saba" news agency. Al-Madani said that the arrested persons are part of a large band and confessed during the investigation to sell many of the antiquities and gold bullion found on their phones. They also revealed that some gold bullion and old gold statues are mostly melted for easy smuggling and sale as gold pieces after a blur molds and archeological sites. 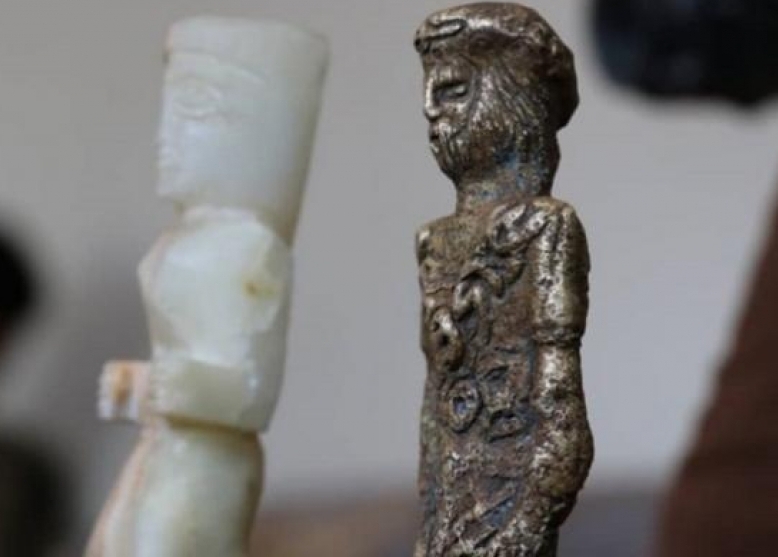 Preliminary investigations showed that the seized persons are acting as intermediaries to deliver artifacts to Huthis Ansarullah in Dhamar province for smuggling them through local and Arab intermediaries to Arab and foreign gangs specializing in antiquities trade. The Director of Marib Police, controlled by the Islah party, claimed that the Houthis group was working to destroy all national capabilities, including cultural and human heritage, from archeological sites and seized antiquities in Yemen's museums and official state stores in order to earn money. Yemen's human heritage have been affected in the nearly 3-year-old Yemen war between Yemen`s internationally recognized government, backed by a Saudi-led coalition and the Iranian-backed Houthis.